While Miami's City Commissioners voted to negotiate with F1 about hosting an annual race on the city's streets in May, their resolution stipulated that the City Commission "directs the City Manager to continue to work to formalize the Host City Agreement (‘Agreement') between the City of Miami and Formula One World Championship Limited and to finalize the Agreement no later than July 1, 2018." However, Forbes reports that the deputy director of Miami's office of communications, Stephanie Severino, has confirmed that "as of right now a contract has not been finalized." Why the contract hasn't been finalised isn't known. One previous sticking point, the fact that the original proposed track layout ran through an area of scrub land earmarked for development as a public park, was circumvented by re-routing the course. 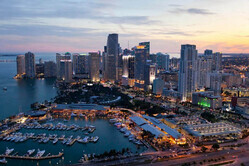 However, as previously reported, a group of residents from the area known as Bayfront Park, through which the proposed track would pass, sent a cease and desist order to Miami's City Hall demanding that it stop the negotiations over the race while also dropping the Ultra Music Festival which is held in the park. "F1 not only affects traffic much longer than Ultra; it is even louder. 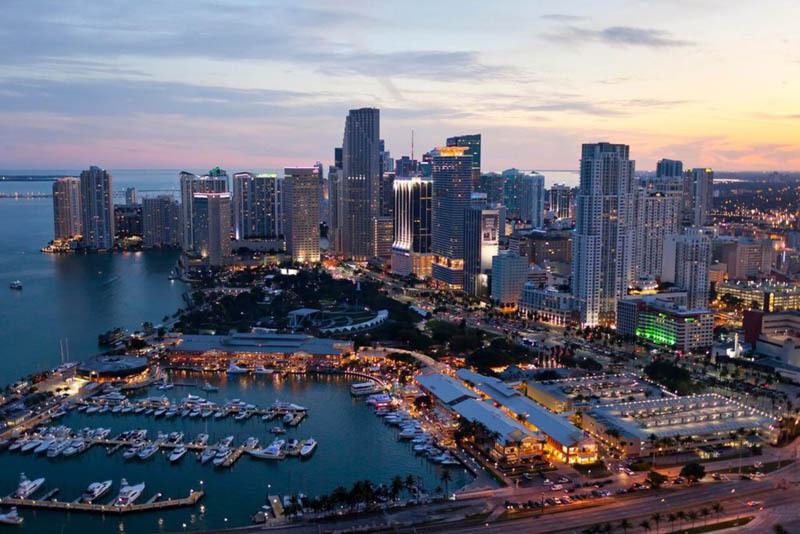 Ultra closes the park for three months and F1 would close it for another almost four months," says Andres Althabe, president of the Biscayne Neighborhoods Association (BNA). "The threat of a lawsuit is clear and this new layout of the race circuit only makes the situation worse." Since buying the sport, Liberty Media has made no secret of its desire to expand Formula One in its own backyard, and while hopes for races in Los Angeles and New York appear to be no closer to reality than they were under the previous management, the speed with which the Miami event has progressed up until now has been astounding. With the race scheduled for October 2019, this marks 15 months 30 days since the contract was due to be finalised on July 1. The speed with which this was due to happen indicates just how desperate Liberty is to secure the Miami event, which would be the first new race added to the calendar since it took control. By comparison, from the contract being signed to the first race taking place took the Circuit of the Americas 29 months 24 days, while Azerbaijan took 25 months 12 days and China 23 months 5 days. Indeed, only Austria (10 months 30 days), Valencia (14 months 23 days) and Mexico (5 months 9 days), will have got off the grid quicker than the proposed Miami event. So determined is Liberty to take F1 to the streets of Miami it will waive the usual hosting fee, which averages $34m annually, and co-promote the event with Stephen Ross, owner the Miami Dolphins NFL team. The failure to meet the contract deadline doesn't necessarily end all hopes of a Miami Grand Prix, but nonetheless the event still faces many obstacles before it gets the green light. "The representative of the promoter said to us in reference to residents involvement in the negotiations: ‘it's not your park, it's everybody's park'," Althabe told Forbes. "Well, it happens that we think exactly that but we end on a different conclusion: it is everybody's park, so companies cannot close it for their for profit events unless the residents see the closure as a positive use of ‘everyone's space'." "We are now waiting for the contract that the City Manager will present to the City Commission, but if we don't have a clear understanding of the benefits that the race will bring to the City of Miami, we will consider opposing the City Commission approving the contract," added Althabe. With the contract deadline past, we await the next development. Meanwhile, if Liberty is as anxious to keep Silverstone on the calendar as Ross Brawn insists, perhaps it might look into a similar co-hosting deal with the BRDC... all negotiations to be kept private of course. "I take the holdup to this event as good news. Liberty needs to be as anxious to retain Silverstone, etc." "The more locals objecting to street circuits the better." "Correction: West Palm, typo there!" "Why the insisting on being at Miami? There's Ft. Lauderdale and Wet Palm near by. Could consider Orlando also."